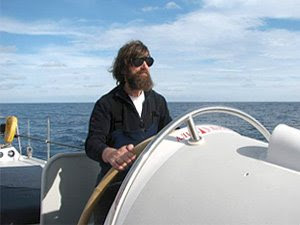 It seems that tireless traveler Fyodor Konyukhov has seen it all. Not quite, he says, as he has just started a new expedition which will cover the ancient Great Silk Road. RT caught up with Fyodor Konyukhov ahead of the seven-month journey. Q. Could you tell us a couple of words about the upcoming expedition? What are your tasks and goals for the Great Silk Road? FK: The Silk Road expedition will take place along its most northern route for the first time in 300 years. It will traditionally start in Mongolia, in Harim, the ancient place found by Genghis Khan where the trade routes between the West and the East used to run. We will travel on animals only. We have 12 Mongol two-humped camels and 15 Mongol horses. We have nine Mongol participants and six Russian participants from Kalmykia mostly. This year both Russians and Kalmykians celebrate the 400th anniversary of the Kalmyk nation joining the state of Russia. Our Great Silk Road expedition is dedicated to this event. We will be traveling for seven months, and we’ll cover 6,500 or even 7,000 kilometers. Camels and horses used to cover 25 kilometers per day along the Silk Road in the ancient times. They used to make the caravansary as well. But we will be covering 35 or 40 kilometers per day as we will not carry heavy cargos. Our participants will ride horses; and camels will carry our cargos up to 70 or 100 kilograms which is not much for them. And if we ride camels we’ll put cargos on horses. Each participant will use two animals. More than half of our scientific expedition members are scientists and others are the Mongol and Kalmykian animal drivers. This will enable scientists to leave the caravan on horses for several hours and catch up with it later. Horses are more mobile. The caravan will be going non-stop along its route. If we all went sideways for 10 or 15 kilometers it would significantly delay our trip. This is why we’re taking both horses and camels. Q. You’ve been traveling all your life. What actually makes you travel round the world and to Elbrus for example? What attracts you? FK: I always have my goals. Even though I’m 57 I still live in my childhood dreams. I used to say if I was born 300 or 400 years earlier I would’ve become a camel driver and would travel with caravans through Saudi Arabia. This is the second stage of my Silk Road expedition. When I started working with camels in the desert I realized I didn’t have to go 300 years back. The steppe, the mountains, the desert and the animals are still the same. I really like the fact that I’ve switched from the yacht to the caravan and that I will travel on camels – the sand ships. As a rule, I prepare big expeditions. The Great Silk Road is the second stage. It is seven thousand kilometers long. After that we plan to cross the entire Sahara Desert, which is five thousand kilometers from West to East. Our next destination will be the Arabian Desert. We plan to cross it with the Bedouins on camels. This expedition will naturally involve the desert, horses and camels. Q. How did it all start, your expeditions I mean? As far as I know you got interested in traveling at a very young age? FK: That was a very long time ago. I started traveling at the age of 15, but, in fact, I wanted to become a traveler at the age of eight. Naturally, I dreamed about these expeditions and I spent my life preparing for them. It’s like the talent of a painter, a scientist or a composer. It takes more than just a zest or desire to become a traveler. A talent is absolutely necessary. This is what I keep telling young people when they come to me and say that they also want to become travelers. Q. But what served as a jump-start? Can you remember? Perhaps it was a book? FK: A jump-start? I always try to explain it. When I was a child, my grandfather, Mikhail Konyukhov (he was ill and paralyzed) used to tell me when I climbed on top of him that I should become another Georgy Sedov, a Russian traveler. Every morning I ran to the coast of the Sea of Azov and saw the Sedov point, the place were Georgy Sedov was born. It can be seen very well from our village. It was called Troitskoye at that time. And my grandfather was born in 1883 like Georgy Sedov and he used to say that I should be like him. At that time I promised him that I would be a traveler. When I reached the North Pole, I’ve been there three times now, I decided that I should go somewhere else. Q. You are a very experienced traveler. You’ve traveled by sea and by land, you’ve climbed Mount Elbrus. You’ve been a member of polar expeditions. Do you have any kind of gradation? What was the most difficult experience for you? FK:. I never say what was the most difficult and what was the most interesting because if I conceive an expedition, it automatically becomes interesting to me. I never take part in expeditions if they don’t interest me. The reason why I’ve made so many expeditions alone is that they were my brainchildren and they were interesting to me but not to other people. That’s why they didn’t take part in them. 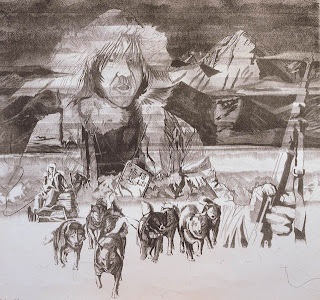 Each expedition I write books and paint pictures. This expedition is interesting, and I hope and I strongly believe that it will be the most interesting trip that I’ve ever had. But it’s going to be difficult to spend seven months in a saddle from eight in the morning until eight in the evening. Consequently, it’s going to rain, sometimes it’s going to be cold and hot and there will be dust storms. We will meet a lot of people and animals. I hope we are going to succeed with God’s will. As for the past expeditions, I find it hard to say which of them was the most difficult or the most interesting? Of course, the most difficult thing was to ascend Everest. At the same time, I wouldn’t say that my trips to the North or South Poles or to Cape Horn were easier and not so difficult. I’ve been to the North and South Poles and I’ve passed by Cape Horn. These expeditions are of equal importance to me. They are all in one row. If I say that climbing Everest is more preferable to me than traveling to the North Pole, I will offend the North Pole or the South Pole. Why did I go there at all? I’ve put my expeditions on an equal footing. Q. And you’ve seen the whole world. It’s a rare opportunity. Perhaps, there are things and places that impressed you most? Maybe it’s Mongolia? FK: Now it’s certainly Mongolia. I’ve been staying here for a long time. I’ve been living in a yurt together with my horses and animals for two months, and I was here before. I traveled a lot around Mongolia. I have a lot of friends here. So, it’s natural that today Mongolia is a very close and dear to me. But I wouldn’t say the same about Australia, Argentina or Chile which I’ve visited. But they are already in the past, a matter of the past, but Mongolia is my present. I am planning to cross the Gobi Desert on my own with a camel. So, Mongolia is just opening to me! I am looking forward to a start. There’s a very beautiful place here called Kharkhorin. It’s very beautiful. I must say that I am already on my way, and I am burning to get into a saddle and leave. Q. Expeditions like the one you are planning to make in Mongolia and round-the-world trips, and the ascension to the Elbrus, what’s the most difficult part in the preparation of mass expedition projects? FK: First of all, it’s logistics and the need to make others to believe that what you are doing is necessary and useful for someone. 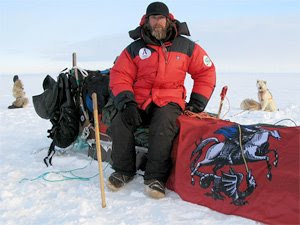 If I don’t have support and there’s no one to help me to prepare an expedition, if I don’t have a sponsor in other words – financing and budget is one of the most vital aspects of any expedition, then I say that this expedition is not interesting to other people and, therefore, it’s not interesting at all. You have to ensure that your expedition, your childhood dreams, your thoughts and science and art are interesting for others so they would fund it. Our scientists and camel drivers are not the only ones interested in the expedition. The Mongol government and citizens are also interested in it. When we cover Mongolia on camels and horses we will be discovering the country not only for ourselves but for the entire world also, and for Russia in particular. We have close ties between our countries and governments and we have joint projects. This joint expedition enables the Mongol and Russian people to be together, even more so that our nations are similar in their culture and hospitality. I really enjoy traveling to Mongolia. They have a tradition of serving kumis to their guests, just like tea in Russia. This is a very welcoming and civilized country. I’ve visited more than 120 countries and I’ve lived in many countries. Civilization doesn’t mean living in a luxurious house or wearing nice clothes or driving a large car. Civilization is in the people’s mentality. In this sense the Mongols are even more advanced than us, the Europeans. Perhaps their houses and roads are not so good but their mentality is civilized. Today when I travel to Mongolia I can stay in a yurt or on the steppe. We don’t have security guards and we are not afraid of anyone; we don’t have weapons and we welcome visitors. When I traveled for hundreds of kilometers, I felt safe, and people were friendly and smiling everywhere. This is what I call civilization and this is what I like about Mongolia. Q. Let’s talk about a more personal issue. As far as I know you have a family, a beautiful wife and three children. Would you like any of them to follow your steps? FK: Well, being a traveler looks very attractive. I would like my children to see the world and feel the same about it like I do. I think any traveling should have peaceful purposes. When I travel, I don’t say weapons, for example, or destroy anything, or pose any danger. As for danger, I don’t seek any danger or adventures in my travels. I travel out of necessity. I want to paint lots of pictures, write a book, and create some creative heritage. Well, whenever I encounter some danger, I say that I wouldn’t like my kids or grandkids, of which there are five, to get in the same situation. On the one hand, I want them to see the world, but, on the other hand, I would like them to stay out of danger and not do what I have done. Q. Don’t you sometimes feel like living a calmer, sedentary life? The Last Way of Naomi Uemura. 1989. FK: Well, over the last few years, I’ve felt more and more like sitting in my workshop and drawing paintings, because now I’m mostly fighting time. I have everything except time. I have lots of plans to draw huge canvases: a series of paintings on the Antarctic, a series on the jungles and on the ocean. I’m now beginning a series of paintings on camels, Mongolia, and Kalmykia, but I have no time! I would like to close myself, to spend more time going to church and praying to God. I have no time, though, because preparations for any expedition take a lot of time. The second stage of Silk Way expedition has been in the works since 2002. Every expedition takes five or even ten years to prepare for. If I cancel expeditions that are planned for 2010, 2012 and 2016, my friends and sponsors won’t understand me. I’d hate to quit halfway and give up what we have planned. Completing everything that I have planned to do takes a lot of time, and leaves very little time for creativity. I have written more than ten books, but they all are more like diaries, while I’d like to write a more philosophical book. I already have the material for it; I just need to sit down and work on it, but that’s going to take me a year or more, and I have no such time! Q. You have mentioned going to church and praying to God several times. You are known to be a rather religious person. How much does faith help you in your journeys? FK: Well, there’s nothing you can do without faith, especially when traveling. As the saying goes, “There are no unbelievers in war.” The same applies to traveling. How can you go on a solo trip to South or North Pole without anything, a straw, to cling on? There are situations when you know very well that nothing but God or St. Nicholas can help you. I believe in St. Nicholas and I always ask him to help in my expeditions or in emergency situations. Even in the ocean, you can count on the boat and the equipment, but they can fail at any time, while God will never let you down if you ask him. I always say that I am forever grateful to our God Jesus Christ for letting me survive all of my expeditions and all the troubles I’ve been through. The fact that I’m still alive is not my merit. I’m not that smart or physically strong, but some of my friends were killed by stones on Everest, or went under river ice, or never came back from the ocean, and I’m still alive. I’m no better than they were, but God helped me stay alive. Even now, it is impossible to go on such a long journey without faith. This expedition is going to involve very many people, especially scientists, and I am responsible for all of them. So I pray to God to give us health and keep us safe and sound and help us achieve the goals of the way that we call the Way of the Great Saddle, or the Great Silk Road. Besides, our team drivers are mostly Kazakh, who are Muslim. Then we have Kalmyks and Mongols, who are Buddhist, and some Orthodox Russians. We are of three different confessions, but they are all my friends, and we are going to walk this way together and eat together and work together in this expedition. We are of different confessions, but we all believe in our Heavenly Father. Q. You said that expeditions like this one take a lot of time and preparations. Could you tell me about some of your next plans? What’s in the works? FK: I’m usually asked about my expeditions when I’m on the threshold of one. In a few hours, we are going to mount and embark on a very long journey. But nobody saw how the expedition was prepared. It took us seven years of logistics to tie all those countries together, to work out the budget day by day, and coordinate all those border crossings. Our next big expedition we are working on now is a trip across Greenland together with Greenland Eskimos. We’ll be crossing Greenland on dogcarts all the way down from south to north and then across the North Pole ices to Russia. It’s a gigantic expedition that is currently halfway through the preparation process. We’re still finalizing the logistics, the route, the sponsors, the choice of dogs, and so on. I’d like to make this trip useful for everyone: not only to Greenland Eskimos and me, but also for people of Greenland, Denmark, Russia, the extreme North of Russia, Chukotka and so on. That’s where I need extensive support of not only my team, but from high-ranking officials like Prime Minister Putin. A trip like that requires getting a lot of permissions, which can take us years to obtain if we don’t find support on high levels. For example, when we started planning this Great Silk Road seven years ago, there were twelve people on our team. Seven years on, there are only six of us at the start of trip. Some have fallen ill, some have grown old, and some simply found other interests. That’s why I wouldn’t like to waste any time. Q. Well, our best wishes go to you. We wish you a good trip and good luck. FK: Well, I’m not much of a collector to bring lots of things from my journeys. I usually bring my record-books and diaries, my impressions, photos, sketches and videos, which I later turn into my paintings and books. I’m not a collector, because collecting would distract me. I think collectors always cling on to their collections, which is definitely not my thing. All the world famous brand name drinks for unbeatable discounted price tags.